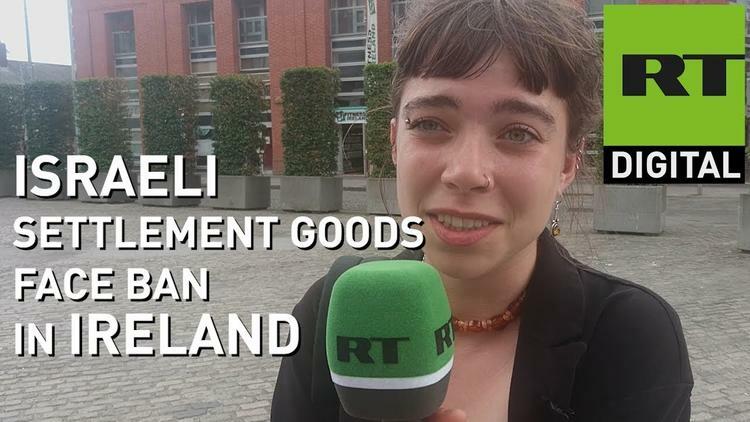 Ann Arbor (Informed Comment) – Ireland’s parliament has voted by 78 votes to 45 to ban the importation into Ireland of goods produced by Israeli squatter firms in the militarily Occupied Palestinian West Bank. According to the 1949 Fourth Geneva Convention on occupied territories, the occupying authority is forbidden to settle its own population in the occupied territory or to change the lifeways of the occupied population, until the war ends. (See Appendix, below). Since the 1967 war ended in 1967, Israel’s continued occupation of the Palestinians (who did not participate in the 1967 war, as Moshe Dayan admitted), is by now highly illegal and it should withdraw. In any case, its transfer of hundreds of thousands of Israeli citizens to the Palestinian-owned West Bank is a major breach of international law, going beyond a mere war crime in its massive and repetitive nature, and constituting a crime against humanity. The bill originally had been introduced in the senate by Independent Senator and pop singer Frances Black. She was pleased at its second stage passage, saying that it was in accord with international law and the law on human rights. The governing center-right Fine Gael party, however, leads a minority coalition and was outvoted on this measure. The Irish Times reported that Niall Collins, who holds the foreign affairs portfolio in the opposition Fianna Fáil party and who tabled the bill in the lower house of parliament or “Dáil,” rejected the notion “that we are now being offensive to corporate America”. He noted that the US apartment-sharing giant AirBNB had pulled out of the Occupied West Bank. The far right wing Israeli government, of course, threw a hissy fit, hurling accusations of anti-Semitism and irrational hatred for Israel at Ireland, and recalling its ambassador from Dublin. The former minister of defense Avigdor Lieberman, himself from Moldova, demanded that Israel sever diplomatic relations with Ireland. One Israeli headline complained that Ireland was trying to “criminalize” the Israeli colonization of the West Bank, appearing not to realize that it has been criminal all along. What Ireland is doing is giving the law some teeth. One of the Fine Gael ruling party leaders worried that the boycott would violate European Union rules. Nothing could be further from the truth. Several European governments, including the Netherlands, have advised their corporations against doing work in the Israeli-occupied West Bank because it might open them to being sued by Palestinian families in Europe who were harmed by this collaboration. The far right government of Israel behind the scenes actively impels squatting on Palestinian land in hopes of forever forestalling a Palestinian state and keeping the Palestinians stateless and without rights in perpetuity. Its leaders are terrified that the movement to boycott the Occupier over West Bank policy will spread throughout Europe, with which Israel conducts 1/3 of its trade and from which it derives a good deal of its ability for technological innovation. Israel has been treated by the European Union as an honorary member, with enormous benefits for Tel Aviv. While the some 600,000 Israeli squatters in Palestine (800,000 if you count those on Palestinian land around Jerusalem) make up only about 10 percent of the Israeli population, the economy of Israel proper is increasingly intertwined with what Rashid Khalidi calls the “settler-industrial complex.” If the principle of boycotting settler goods produced in Occupied territory becomes normalized, the question arises of whether the boycott of settler-related enterprises in Israel proper won’t be next. Resolution adopted by the General Assembly on 7 December 2017[on the report of the Special Political and Decolonization Committee (Fourth Committee) (A/72/448)]72/85. Applicability of the Geneva Convention relative to the Protection of Civilian Persons in Time of War, of 12 August 1949, to the Occupied Palestinian Territory, including East Jerusalem, and the other occupied Arab territories. 7. Requests the Secretary-General to report to the General Assembly at its seventy-third session on the implementation of the present resolution.